The World Green Economy Summit (WGES) has wrapped up in Dubai. The annual event brings together climate change delegates and energy executives from around the globe to discuss developing smart green cities. The current trends highlighted during the summit included digital currencies, digitalising urban services such as the issuing of parking tickets and investing in green capital. The issue of countries phasing out fossil fuels and shifting to clean energy was also discussed throughout the two-day gathering. According to the United Nations, for countries to reignite growth whilst complying with the UN’s Sustainable Development Goals and the Paris Agreement, they’ll need to invest around $90 trillion over the next 13 years. 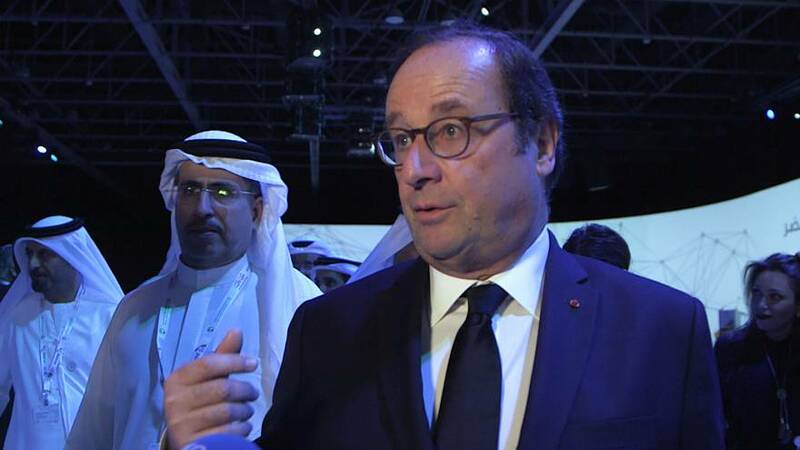 Former French president François Hollande - a keynote speaker at the event - said that sticking to agreed targets was key to countries around the world achieving their sustainability goals. “We must accelerate, we must invest and that happens in Dubai. We must not wait, even if Donald Trump has cut his commitment, we must consider that we go far and far.” Hollande told Euronews. Other news generated ahead of the event came from the Seoul-based, Global Green Growth Institute which promotes the idea that environmental sustainability is compatible with economic growth. The institute signed a $1.1 billion dollar deal with the Dubai-based governmental World Green Economy Organisation to finance green projects and 60 smart cities over the next three years. H.H Sheikh Maktoum bin Mohammad bin Rashid Al Maktoum during his visit to the #WGES2018. WGES brought together global experts to push the global #greeneconomy and #sustainability agenda forward.